I recently read a verse in the gospel of John (10:10) about having life to the full, or an abundant life. There’s an attraction to define a fully abundant life in terms of positive and uplifting things; Hopes, dreams, successes, comforts, good health, wonder, and joy. But when I thought about this concept a little more, it became apparent that a full life really means a complete life. A full life isn’t void of challenges, setbacks, failures, discomforts, poor health, and learning. These are natural events we all experience. If I consider the full collection of events in my life, I see a more full and abundant experience. What about an abundant work life? I believe the same principle applies to my career. Having my job to the full, or having an abundant work life, means there will be days when I love my job and days when I am uncomfortable with it. There will be times of accomplishment, reward, and achievement. There will also be times of failure and setback. A complete work-life includes deeper experiences such as servanthood, humility, courage, disappointment, and frustration. My acceptance of the spectrum of experiences determines just how much I accept the concept of having a job to the full. I love the work I do; All of it. Think about a person you know that is completely dedicated to their work. The kind of dedication that does not equate to a work-a-holic, but rather someone that is completely immersed in meeting the requirements of their job with unwavering enthusiasm and resolve. Yes, that person. The one who may have even annoyed you at times because of their dogged persistence. But the one who has earned your utmost respect. In a workplace conversation this week one of my co-workers remarked about another employee, “You know him by now right, he’s all in.” The words stopped me for a moment to think and then stayed with me through the evening. What defines the employee that is “all in”? It’s built-in to the mentality, attitude, and drive of the professional. Going “all in” is for those that believe in their odds of succeeding. The employee that is “all in” receives more than a paycheck, they receive a place to serve, a place to make a difference to a customer, and place to share life with their co-workers. Dedication and belief in the company mission. Dedication to the well being of other employees. Dedication to achievement and professional development. It’s not for everyone and it’s not easy. It requires patience, persistence, and faith in ideals and purpose. In the end, it’s the person who is “all in” that earns respect and leaves the greatest mark on customers and other employees. 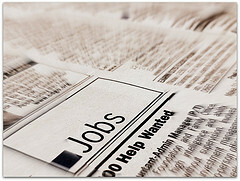 Marketing technology positions are in demand. A recent news release from The Creative Group provides information on upcoming hiring expectations for marketing and advertising executives. While the report doesn’t use the term “marketing technology” it does offer evidence that marketing technologists are growing in demand. There is a quote in the release from Donna Farrugia, Executive Director, “Hiring managers at organizations of all sizes and in every industry seek professionals who can help develop and execute digital campaigns, and cultivate online communities.” Additionally, the report says 51 percent of marketing and advertising executives think it is difficult to find skilled creative professionals. Is this a wake up call for traditional marketers? Traditional marketing strategy around broadcast advertisements that use one way brand communications are becoming tougher and tougher to justify. I bet many marketers could prove through their tracking that it’s also becoming less effective. Notice in the quote from Farrugia the phrase “cultivate online communities”. Marketing and advertising agencies are looking for digital marketers that can create two way communications and connect brands with audiences in more meaningful ways. That frames one of the primary purposes of a marketing technologist; use technology to connect business with customers. Mitch Joel discusses the problem marketers face with ads on his blog with thoughts about just how many ads are displayed in our tech driven world today. Facebook is developing new ways to serve ads. Google search results are filling with more ads. Media publications use ads above the fold or before the video clip. Marketers are challenged not only to target the right audience but keeping that audience engaged in activities and conversations. I think that maps back perfectly to the findings from The Creative Group. Today’s marketer needs to be creative and tech savvy as well. It’s not easy cultivating online communities. Two-way marketing creates dialogue and it fosters word-of-mouth marketing. This is more than advertising. This is more than brand messaging. This is part of the transforming world of marketing.